English breakfast,egg and chips,mushroom,baked beans,bacon. 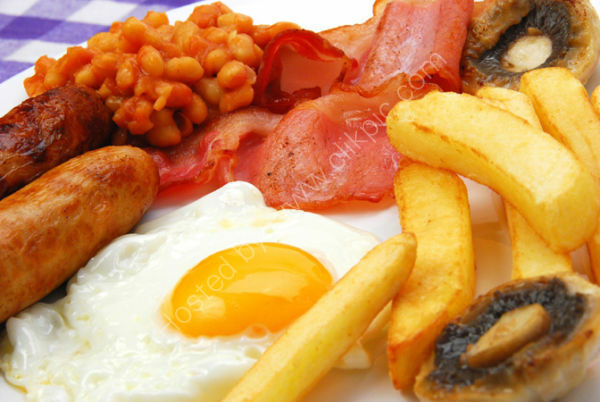 Us brits love a good fry up,bangers,fried eggs chips and baked beans. This image would make any customer hungry.